Bonjour Scrap ! : Hi Oklahoma ! I'm writing now from France where I will be during the whole summer. I have found my home waiting for me to be dusted, so not much time to scrapbook for the moment. But I promise you to post pictures of this beautiful part of France, near Avignon. Such a great cause! 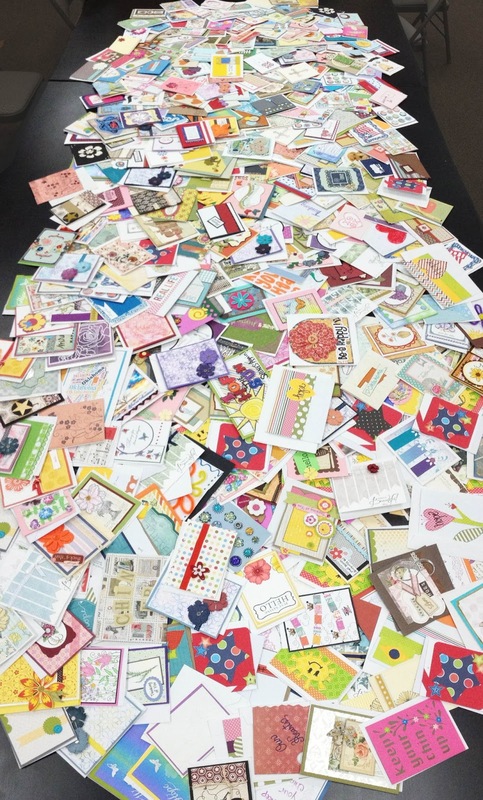 I'm glad they received so many cards. Enjoy your summer, Valerie! Amazing cards, so touching. Enjoy France! I see your card! Glad they received so many - that's wonderful! How cool is that! Nice. My first US paper publication !